What can i do with GeoDirectory? Digital Ad placement & Marketing site in India. Website Design , Free hosting space & free Ad Listing site. Company Brand name , Domain Registration . Web Development site in Kolkata . Web site with Graphics Design & SEO Service in marketsite.in. Business Directory ,blogging , multiple images and video, social media links and campaign support with a basic free listing . 2 Cool 4 School is a UK Home Education support website for our Home Ed community. The website features GeoDirectory V2 integrated onto a non GeoDirectory theme as the directory isn't the main part of the website but still an important function that we intend to grow. 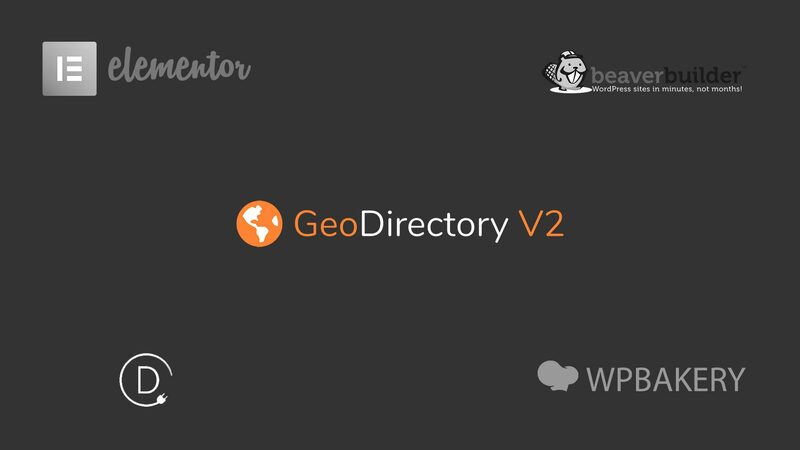 We are glad to announce that we finally released GeoDirectory V2 on the WordPress.org plugins repository. We released the Directory Starter Theme and The Supreme Directory Child Theme for V2 and all premium add-ons. Please find the instructions to update here! Because it took us a lot longer than anticipated, we would like to extend a big thank you to all of our members. You have been very patience with us, so we hope it was worth it. Every line of code of GeoDirectory is new. We did that while providing support and updating V1 for our current customer. The list of new or those improved features is very long. 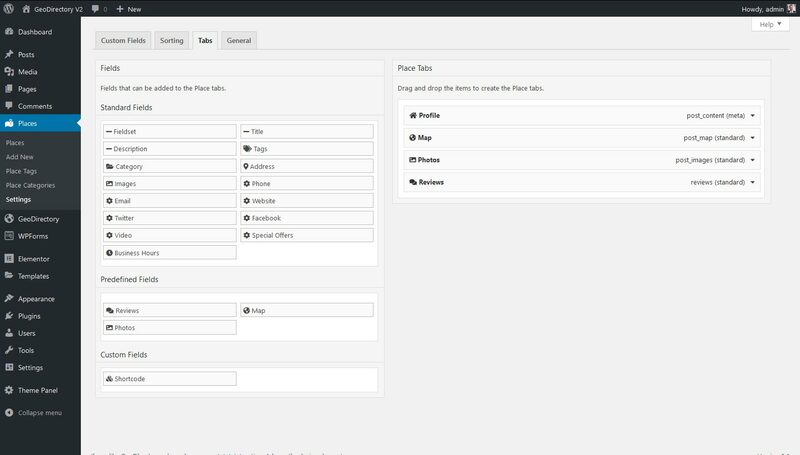 Design Plugins templates with Shortcodes, Gutenberg blocks or Page builders. Developers can still design templates via php files in their themes. All new Badges system. Use each custom field to create a badge using conditions. Featured, Verified, Number of beds or New Listing, you name it. a New Location Switcher for the location manager and made it a lot more user friendly. We improved the way to link Events to other Custom Post Types. We also made it possible for any GeoDirectory custom post type to become an Event post type. We fully integrated Font Awesome with the MultiRatings add-on, you can use any of the icons as rating icon. Claim Listing manager is now integrated with Ninja Forms. Easily customize the claim form. These are just few example of what’s new for GeoDirectory V2. You can find all news tagged for GeoDirectory V2 here. One of the main reason we built V2, was to make it easier to build themes for it. We want Theme developers to create Directory themes for WordPress powered by GeoDirectory. In almost 5 years, 3rd party developers designed only a couple of themes for GeoDirectory V1. Today we are glad to announce the 1st theme for GeoDirectory V2. It will be available very soon. 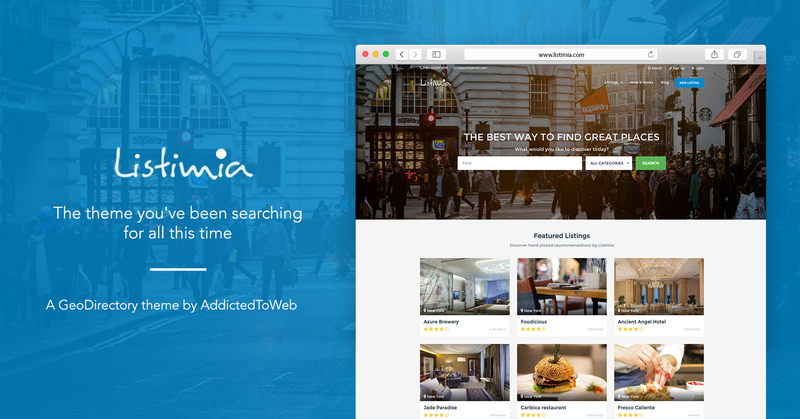 Listimia is a sleek looking WordPress Theme that already existed as a PHPmydirectory theme. Because the PHPmydirectory project appears to be dead without an update in over 2 years and support topic unanswered since 5 months. Rachid, the man behind addictedtoweb.com decided to convert it into a theme for WordPress powered by GeoDirectory. 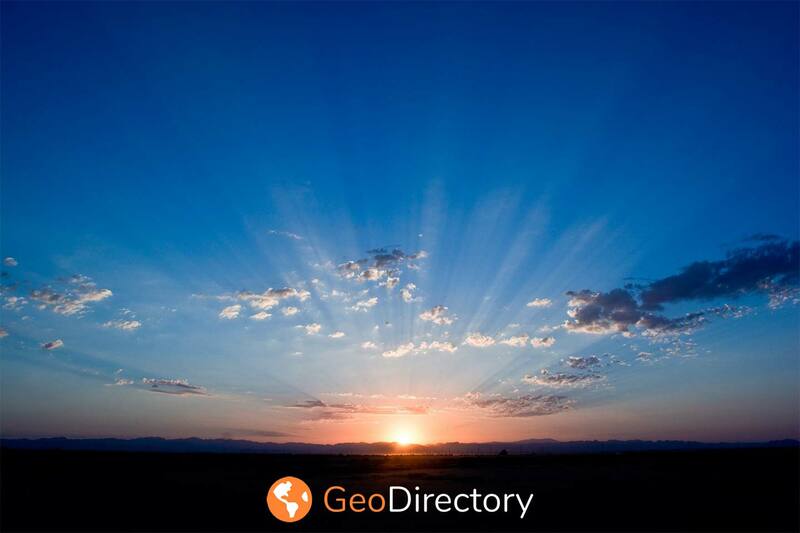 We sincerely hope everyone will enjoy GeoDirectory v2. You should subscribe to our blog because soon we will have more news. Re-ordering the tabs of the listing details page with GeoDirectory Version 1, required custom code. In GeoDirectory version 2, it’s as easy as drag and drop, just check the video down below. GeoDirectory V2 and all its add-ons are finally out of BETA. 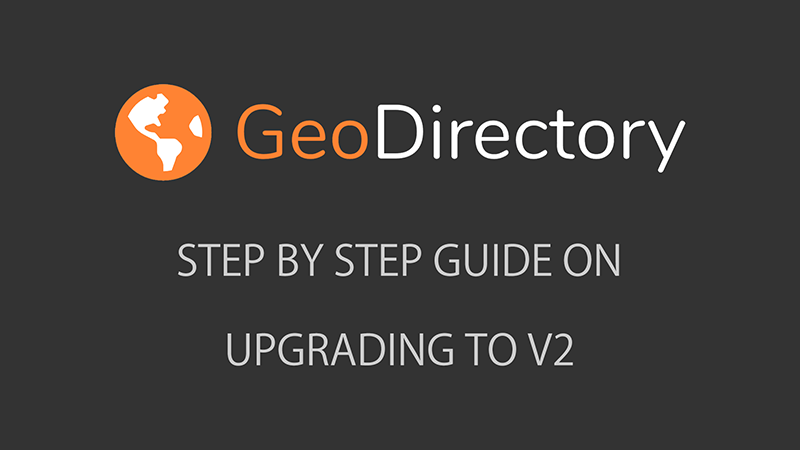 If you haven’t heard about it yet, GeoDirectory V2 is the first major rebuild of GeoDirectory code base since 2014. We hope to reach them all, but we know someone will be left behind and for them we apologize in advanced. GeoDirectory needed to evolve and we couldn’t wait any longer! GeoDirectory V2 is compatible with any theme and most popular page builders. It uses few WordPress pages as templates and by default, shortcodes or Gutenberg Blocks to compose them. There is a Shortcode, Gutenberg Block or Widget for any piece of data within the listings’ database. This means that you can design any GeoDirectory element through the classic editor. Elementor, Divi, Beaver Builder, Fusion Builder, WPBakery… You name it! If you find a bug with a popular page builder, contact us through the forum. We’ll help you make it work as it should. UK directory of scare attractions. Everything from independent attractions to those at large UK theme parks. Use the Scare Directory to find a scare near you. We created this website simply to deliver tools that will be useful to the pioneering people we see coalescing around the very-cool Opportunity Fund legislation. Opportunity-Funds.com launched in 2018 and is headquartered in Seattle.